St Matthew’s Academy has a team of 6 Principal Teachers of Pastoral Support whose key role is to ensure that the needs of every pupil are met. 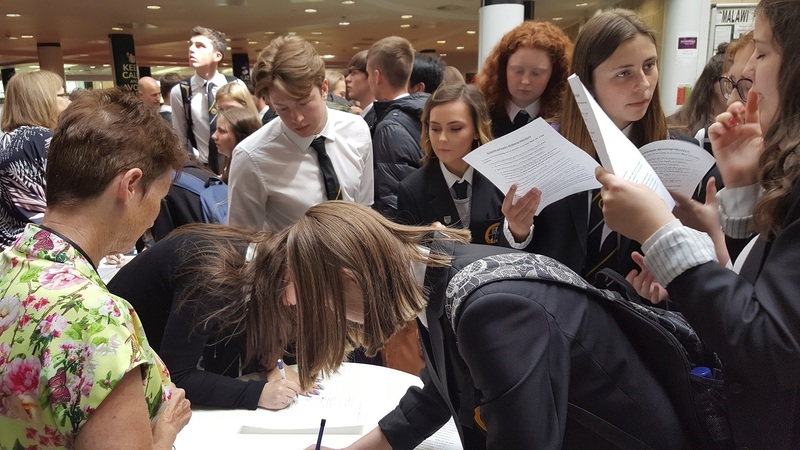 This will involve a number of important tasks including developing close links with P7 pupils and teachers, interviewing all pupils at least once a year, preparing pupils to make appropriate choices and monitoring academic progress, attendance and behaviour. Every effort is made to ensure that pupils entering Saint Matthew’s from primary school will have the same guidance teacher as any older brothers or sisters. Every pupil receives a weekly period of personal and social education (P.S.E.) through which their personal development is enhanced. The P.S.E. programme includes information on lifestyle, sexual health and relationships, careers, further & higher education and employment & training. Our Pastoral Support for young people takes the form of six Guidance Houses, each led by a Principal Teacher Pastoral. Each house has two S6 Captains who provide support and advice to younger pupils within the group. The House names were selected by pupils, staff and parents following a consultation exercise in 2015. In 2010 Pope Benedict called on the young people of Scotland to become “saints of the 21st Century” and our house names offer inspiration to our students to achieve this aim. Our young people looked for role models would inspired through their commitment to Catholic social teachings and all S1 pupils are introduced to the story behind their house name by the house captains. In parallel with the personal support for pupils provided by the Pastoral Team, Saint Matthew’s Academy has a Pupil Support department under the direction of a Curriculum Leader. It is acknowledged that any pupil may need additional support at some time in their school career and so Pupil Support staff work across the curriculum at all stages to ensure that all pupils are able to learn effectively and progress appropriately. This will involve a range of strategies under the general heading of support for learning and behaviour including individual/small group work, cooperative teaching and the establishment of reading programmes. Pupil Support staff also work with departments to develop courses and materials appropriate for the wide range of pupils within the school. Parents will be kept informed as key partners in the process. Close links are maintained with the associated primary schools and Pastoral and Pupil Support staff are involved in gathering relevant information from primaries and in ensuring that needs are met on arrival in Saint Matthew’s. Where there are specific needs, Saint Matthew’s support staff play an important role in transition reviews.